Looks like Mech cards aren’t going anywhere. 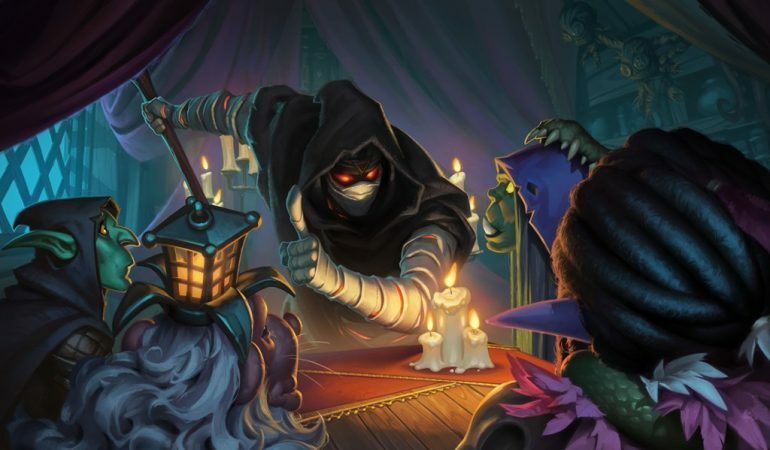 Hearthstone fans are having an exciting month as Blizzard continues to unveil cards from the upcoming Rise of Shadows expansion. If you’re a fan of the Mech card type then the good news is it looks like they’re not going anywhere. 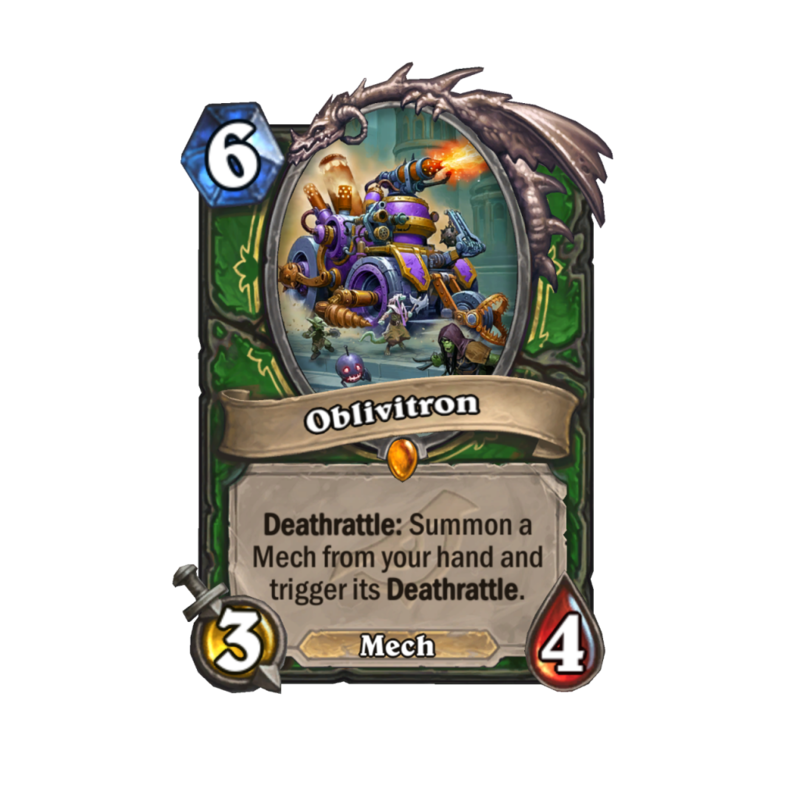 This six-cost, three-attack, four-health Mech has a Deathrattle that allows you to summon a Mech from your hand. In addition, if the Mech you summon from your hand has a Deathrattle, it is also triggered. Oblivitron is also a Legendary Hunter minion so we can definitely expect to see it in some iteration of Deathrattle Hunter. One could argue that Hunter has had more success than any other class so far during the lifespan of Rastakhan’s Rumble, but much of this success is due to the Even and Odd archetype which will soon no longer exist. It will be interesting to see how the class evolves going forward. If this is any indication, it looks like the Mech archetype will be showing up in a big way for Hunters when Rise of Shadows drops on April 9. Correction March 19 8:52pm CT: In a previous version of this article, we stated that players would be able to run two Oblivitrons. This was incorrect, however, as multiple copies of legendary minions cannot be included in a deck.